A senior member of the Organization of the Islamic Conference (OIC) has called on the Islamic countries to take "a unified stance" against Islamophobia in the world. 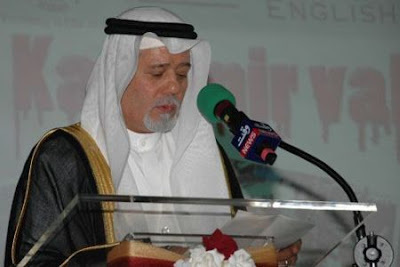 Abdullah Alam, the assistant secretary general of the OIC, stressed on the necessity to develop cooperation among Muslim countries. He made the remarks on Wednesday during a meeting with Iran's permanent ambassador to the OIC, Hamidreza Dehghani. Alam also warned of what he referred to as "the Zionist conspiracies" and called on Muslim nations to unify against the enemies of Islam. Alam and Dehghani discussed latest developments in the Muslim world and problems facing the Islamic countries. The OIC is an international organization with a permanent delegation to the United Nations, with 57 member Muslim states. The rise of Islamophobia in Europe and the USZ has increased since the self made terrorist attack of September 11, 2001 on the USZ World Trade Center. Many political parties and governments in Europe have adopted opposing stances against the Muslim community. Last year, Switzerland imposed a ban on the construction of minarets -- the prayer towers of mosques -- which was passed by a clear public majority in a referendum. In a separate move, France passed a law which bans women from wearing the burqa -- a Muslim veil for women that covers their face. The law is due to be put into effect from 2011. In 2005, a study by the EU's European Monitoring Center on Racism and Xenophobia found that, “Muslims are often victims of negative stereotyping, at times reinforced through negative or selective reporting in the media. In addition, they are vulnerable to manifestations of prejudice and hatred in the form of anything from verbal threats through to physical attacks on people and property”. Pakistan's past, present and future - Islam. Pakistan Military - Hell March!! Rise from the dead O Muslim Ummah!